Our triple layer PVC braided hose sets the standard when it comes to high quality and durable water fed pole system hose. Far easier to use and control than ‘garden’ type hose; the 8mm bore is small enough to be easy to handle yet big enough to give a good flow rate without straining your pump. Can be safely laid across roads and paths thanks to its incredible strength and high visibility outer layer. 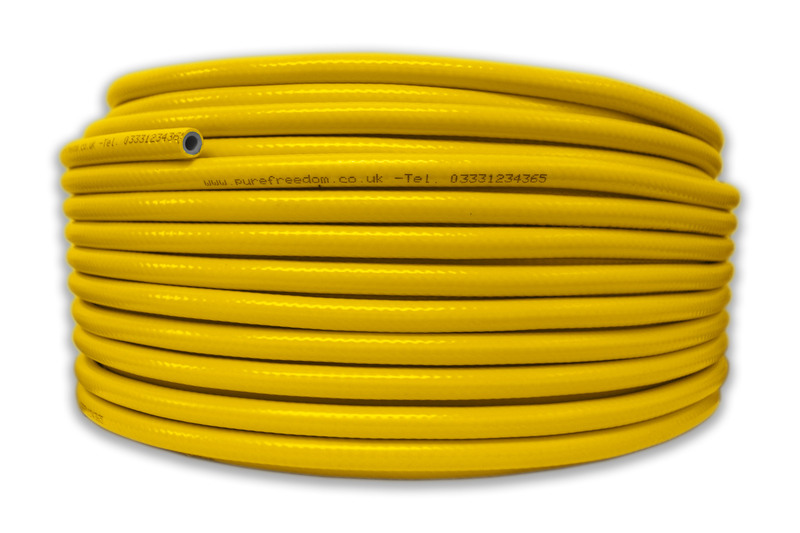 We have supplied this hose to the water fed pole industry and with our Pure Freedom Systems for several years now. Made by an industry leading UK hose manufacturer. Length: 1 Metre (multiple quantities of this item will be supplied as one continuous length). Size: 8mm Internal Diameter / 13.5mm Outside Diameter – the industry standard size.